On February 21, a new era begins at Comcast as the green flag drops on both the biggest sports sponsorship in our 50+ year history and the first ever NASCAR XFINITY Series race. We’re extremely proud and excited to be part of this sport. But, I realize not everyone knows our company and our brand, so here’s some quick background. Comcast is at the intersection of media and technology. Our corporation contains two parts: Comcast Cable, which includes XFINITY — the brand for our television, Internet, voice and home security offerings — and NBC Universal, our media and entertainment company. 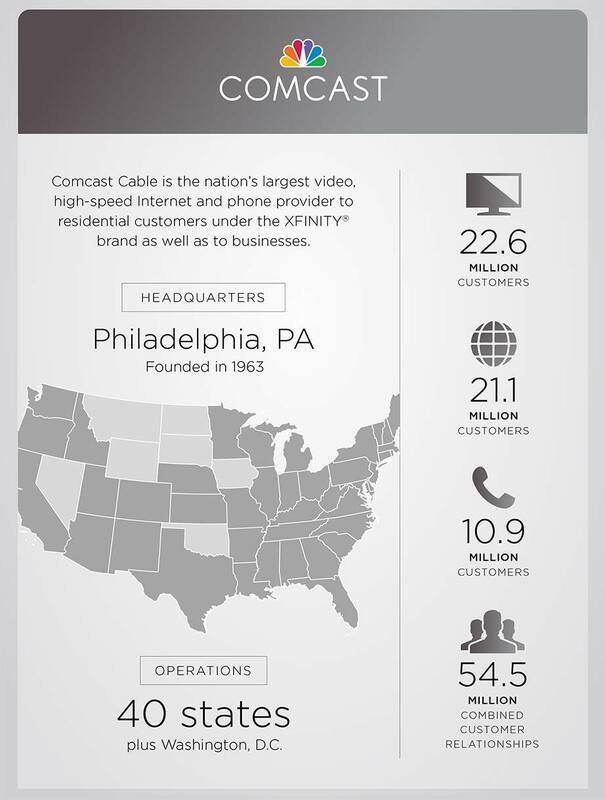 XFINITY is the nation’s largest video and high-speed Internet service. We provide the fastest Internet and broadband speeds to the most homes, and offer more than 8 million Wi-Fi hotspots in public areas around the country. Our X1 Entertainment Operating System brings together the best of television and entertainment by transforming the viewing experience. Customers are provided with powerful search tools, voice control and a cloud-based DVR service that lets you take your personal DVR content to go, on any device. Our XFINITY On Demand platform offers the most TV shows and movies and enables you to enjoy your favorite content on your schedule. Rounding out our product portfolio are XFINITY Voice, our reliable home phone service, and XFINITY Home, our security and automation platform. We’ve joined with NASCAR as the entitlement sponsor of the NASCAR XFINITY Series because we see an opportunity to use the XFINITY platform to enrich the viewing experience for fans. We are already driving innovation around ways to watch NASCAR on laptops, phones and tablets at home and on-the-go. And, with mobile apps like XFINITY TV Go and X1 with Cloud Technology we’ll help ensure fans never miss a minute of the action. 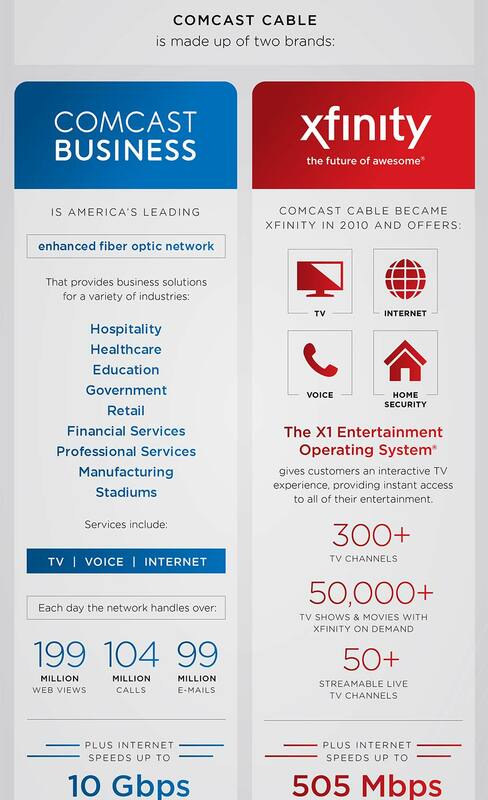 Alongside the XFINITY brand, Comcast Business offers services to small, mid-market and enterprise businesses. Focused on bringing world class communications services to businesses — like the teams, sponsors, vendors and non-profit organizations that coexist within the dynamic NASCAR ecosystem — this group is no stranger to the sports world. In fact, our Business team already provides service to some of the most storied franchises in American sports like the San Francisco 49ers and Boston Red Sox. Finally, Comcast is also a media and entertainment company. Through NBC Sports, Comcast is all in on NASCAR with a 10-year deal to broadcast NASCAR Sprint Cup Series and NASCAR XFINITY Series races starting July 4 in Daytona, and air our news program, NASCAR America. 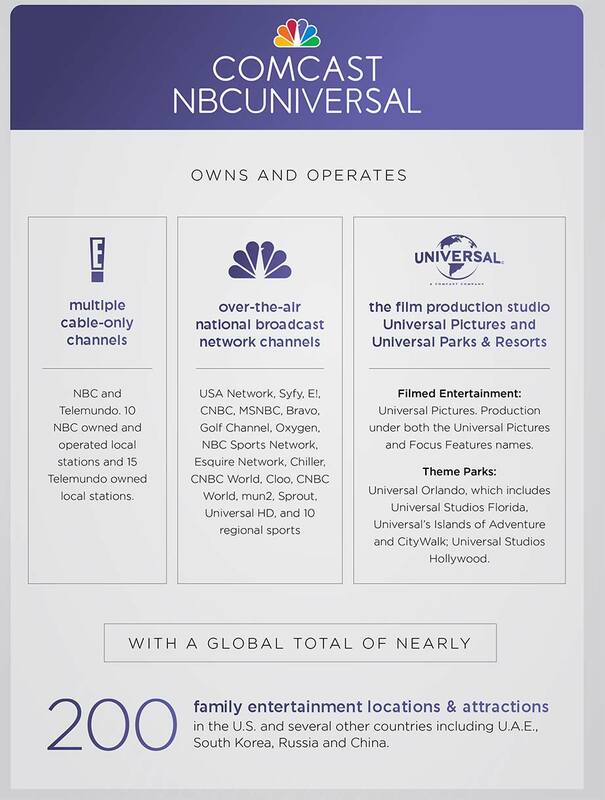 Combine that with the awesome storytelling of sister properties like The TODAY Show, NBC News and even Universal Studios, our filmed entertainment division, and you have a powerful platform bringing the sport to millions. Comcast Corporation is a global media and technology company with two primary businesses. When we announced our partnership last year we said technology lives at the heart of NASCAR just as it does at Comcast. We’re already seeing that come to life as the season begins and can’t wait to build upon that together with all of you. 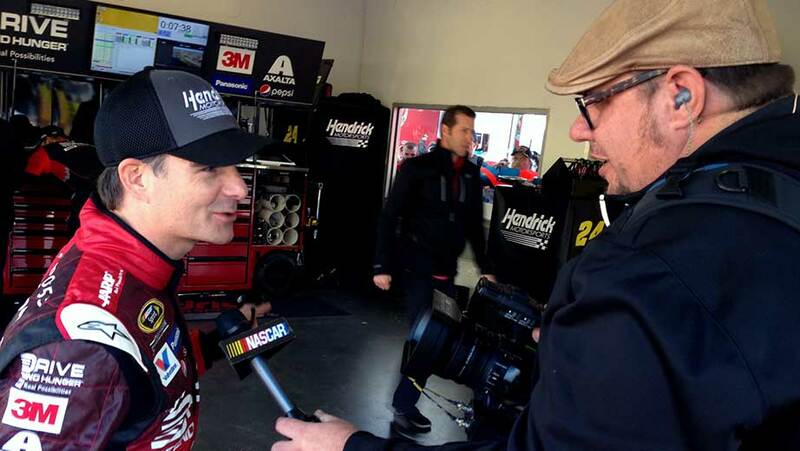 We think a mix of XFINITY products, Comcast Business services and NBCUniversal media properties are a natural fit for NASCAR and passionate fans of the sport. As we build relationships and learn more I assure you we will continue to pursue ways to leverage technology to provide unmatched experiences for fans and the industry. We look forward to working with you to make the next 10 years the greatest the sport has ever seen. Learn more about the series “Where Names Are Made” and those drivers who have made or will make their names in the XFINITY Series by watching the video below.